Brian took up the role of Chief Executive in 2006. Before that, he served for 35 years in the Royal Navy. 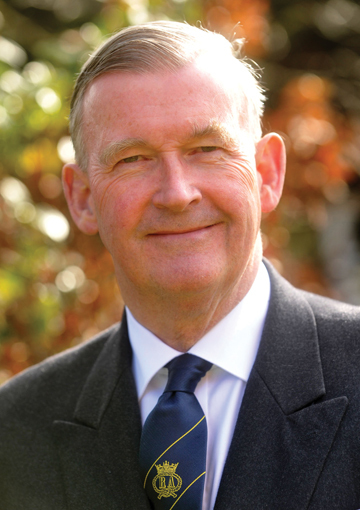 He has overseen a time of great change for the Society and the last decade has seen an ambitious raft of improvements to the Society home and estate, including the creation of a dementia unit, several royal visits and its 150th anniversary celebration in 2015. During Brian’s time in charge, the Society has built on its reputation for the highest standards of care and received positive recognition from the Care Quality Commission. Brian is a Freeman of the Honourable Company of Master Mariners, a fellow of the Nautical Institute and a keen yachtsman, being RYA Yachtmaster qualified. He is also a trustee of the Britannia Association and Secretary of the Royal Navy Club of 1765 & 1785.